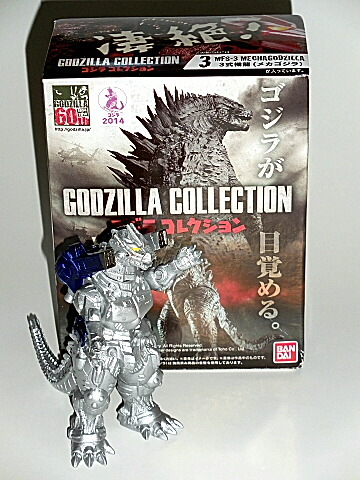 HYPER MECHAGODZILLA 2002! 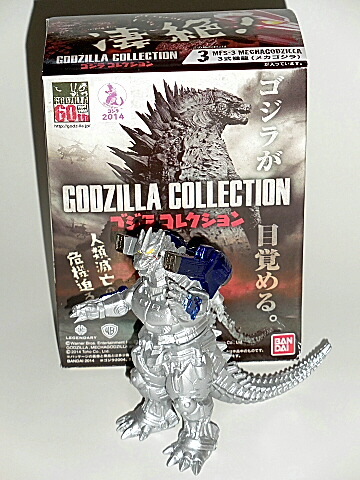 From the new 60th anniversary GODZILLA COLLECTION, this is this one of the KING OF THE MONSTER’S mechanical FOES. From the exciting TOHO movie GODZILLA VS MECHAGODZILLA 2002. Made of vinyl and articulated at the arms, waist and neck, this wonderful hyper MechaGodzilla stands approximately five inches tall. 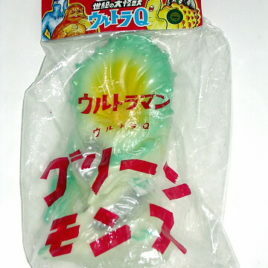 Comes with awesome super weapons. GREAT FOR PLAY OR DISPLAY! This is one of the latest hyper figures made by Bandai Co. of Japan. Comes mint in box.